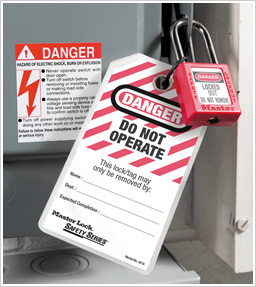 These locks are specifically designed for safety Lockout / Tagout applications with the words "Danger - Locked Out - Do Not Remove" imprinted as standard on the front of the lock. 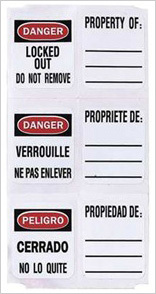 Made from a Xenex alloy which is composite material, it consists of polycarbonate, polyester, mineral and glass fibres. They can withstand temperatures from -70 to +350 F, are resistant to impact and resistant to both UV and chemical corrosion. To minimise contamination, no silicone is used in the locks. This range was formally known as the Xenoy Range in 2011. 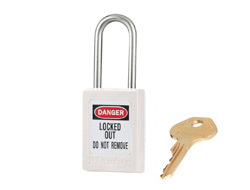 The locks are exactly the same but Masterlock have rebranded them. The keyed different locks have over 100,000 pin configurations in circulation which ensures accidental removal of a lock by another user is almost impossible. The locks are also "key retaining" which means that the risk of the lock being left open is reduced significantly. There is only one size in the range and it is suitable for all the hasps and lockout accessories on our site. Each lock comes with only 1 key. 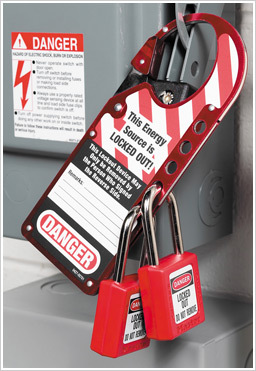 This is done for security reasons to ensure each padlock can only be operated by a single individual. 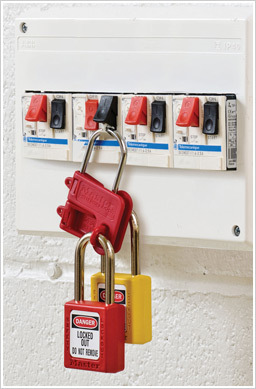 Lockout padlocks are used to secure switches and valves by a single or number of workers, preventing the machinery from being operated whilst their lock is present. 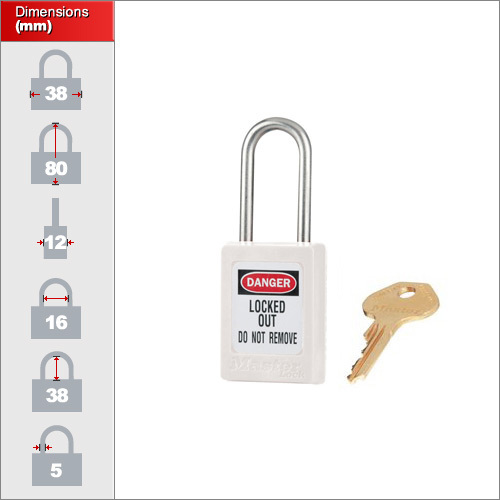 There are a number of applications for this type of lock but it is most commonly used for maintenance of electrical or heavy machinery.